The US Food and Drug Administration (FDA) announced the launch of their openFDA program to make their large health data more accessible to the public. The implications for this type of access is huge. The ability for new and exciting applications to be developed off of this data will give acupuncture practitioners better information at their finger tips. 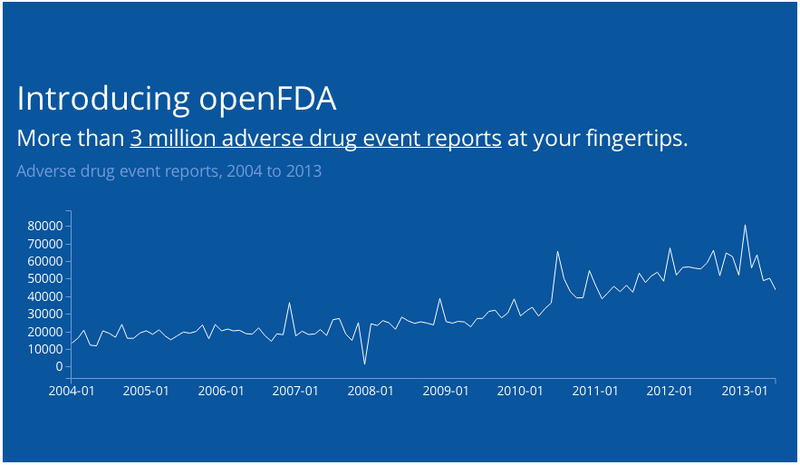 "Consider the 3 million plus reports of drug adverse reactions or medication errors submitted to FAERS, the FDA Adverse Event Reporting System (previously AERS), since 2004." Imagine not only having this data at your disposal, but also being able to cross reference this with herbal formulas and supplements. A practitioner will be better able to educate their patients about their health and ultimately, save lives. "Software developers can build tools to help signal potential safety information, derive meaningful insights, and get information to consumers and health care professionals in a timely manner,” said Taha Kass-Hout, M.D., the FDA’s chief health informatics officer.